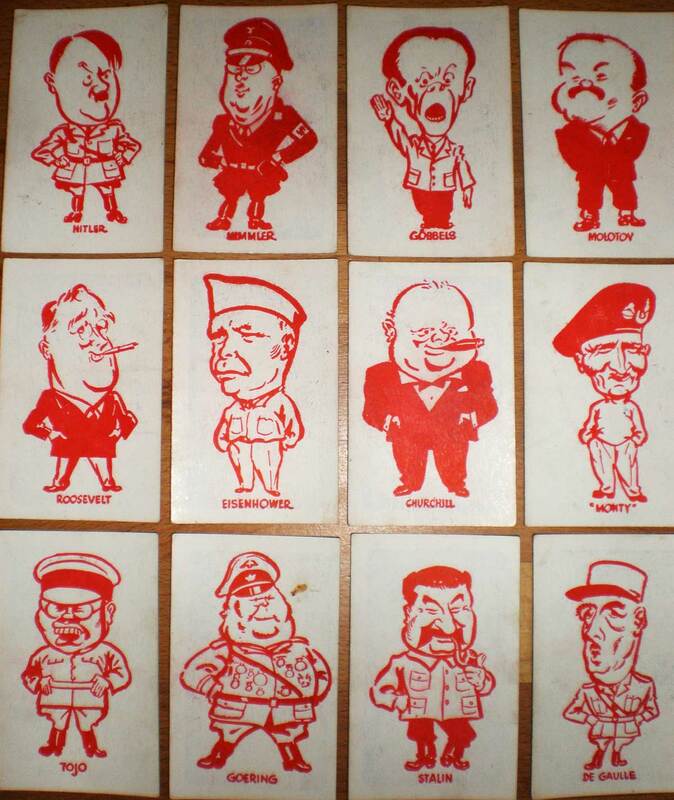 Anonymous wartime Snap game (working title “World Leaders Snap”) comprising 12 different caricatures of generals, dictators and world leaders representing different political ideologies, with large, whimsical funny faces, each repeated four times, including: Hitler, Himmler, Eisenhower, Stalin, Goebbels, Monty, Churchill, General Tojo - and his teeth, with Stalin resembling a little devil. The caricatures are by an unknown artist and reveal a sense of fun and humour. 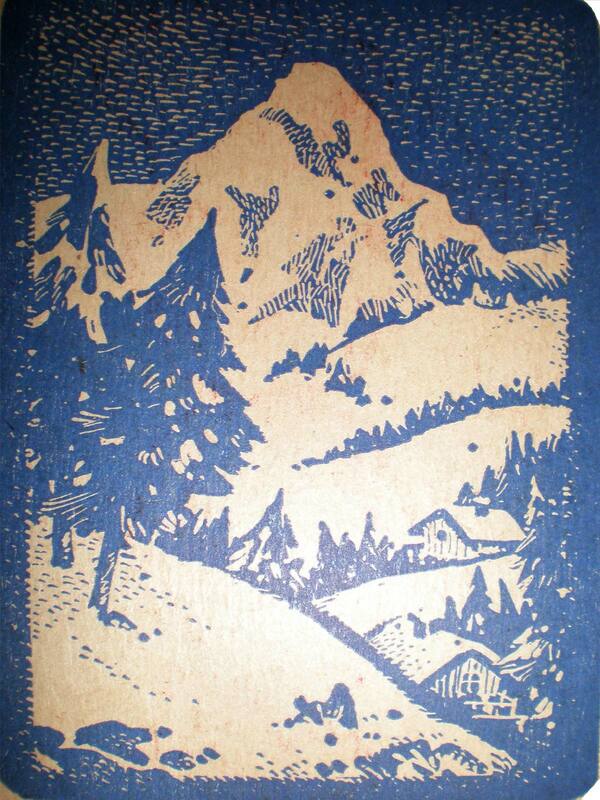 The reverse shows a mountain scene. Above: World Leaders Snap published around WW2, c.1940. Different colour schemes are known, red with the blue back and blue with red back. The cardboard / printing seems to be the wartime quality associated with rationing etc. Unknown manufacturer (possibly Clifford or Betal). The cards measure 9 cm high x 5.5cm wide. Images courtesy Cheryl McDonagh. Thanks to Neil Darbyshire for extra research.